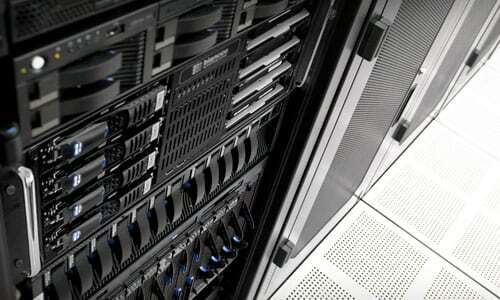 Securely erase data on loose drives on-premise at data centers or in large IT facilities. These data erasure appliances provide the most trusted solution for onsite data sanitization requirements using a quick and effective process – along with complementary support. Industrial grade server solution built to meet your high-volume data erasure needs and configured to support a broad range of hard drives, including SAS, SATA, M.2 and U.2 SSD, Fiber Channel and SCSI. Designed for fast, high-volume erasure of up to 24 loose SAS/SATA/SSD hard drives. Meet your high-volume data erasure needs with fast, reliable and certified erasure in a portable form factor. Expandable bays for loose hard drive erasure with Universal Hard Drive. Industrial solution designed for fast, high-volume erasure of loose SAS/SATA/SSD hard drives in a turn-key setup. An in-house, transportable DIY solution that support high volume erasure of damaged or EoL electronic devices. 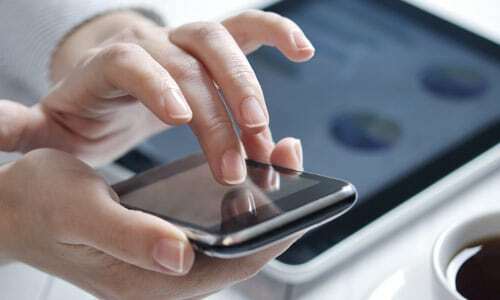 Portable, standalone data erasure solution without a network or internet connection. 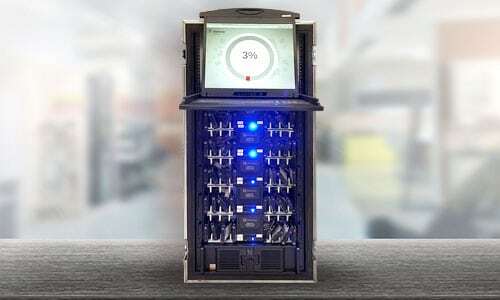 This Blancco Enterprise Appliance is an industrial-grade server solution designed for high volume data erasure usage and can be configured to handle any type of hard drive, including SAS, SATA, Fiber Channel and SCSI. This data erasure appliance is easy to use. The operator simply inserts the drive(s) to be erased into the bay(s). The system recognizes the drives and bay numbers which then appear in the software GUI. The operator selects the drive(s) and hits the “Erase” button to begin erasure. This Blancco Enterprise Appliance is a solution designed for fast, high-volume erasure of loose SAS/SATA/SSD hard drives. It’s a turn-key setup complete with data erasure software, hardware and customizable reporting capabilities. This Blancco Enterprise Appliance is an industrial grade server solution built to meet your high-volume data erasure needs. This appliance delivers a fast, reliable and certified erasure methodology in a portable form factor. This Blancco Enterprise Appliance provides expansion bays for loose hard drive erasure. 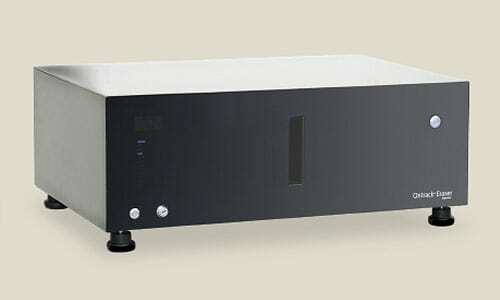 The Universal Hard Drive Enclosure is a standalone direct attach storage (DAS) hard drive enclosure that accommodates 3.5 inch and 2.5 inch hard drives with caddies or trays, as well as the standard bare drives. 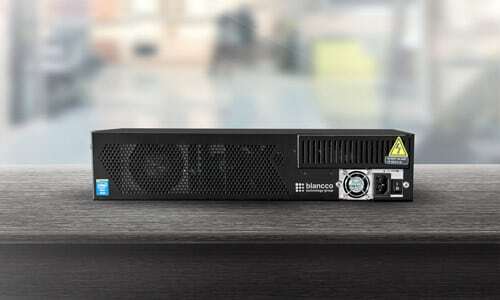 This Blancco Enterprise Appliance is an industrial solution in a wheeled rackmount cabinet designed for fast, high-volume erasure of loose SAS/SATA/SSD hard drives. It’s a turn-key setup, complete with data erasure software, hardware and customizable reporting capabilities. *The Ontrack Eraser Degausser is only available to customers outside of the US. Blancco Toolkit is a portable, standalone data erasure appliance that doesn’t require a network or Internet connection. 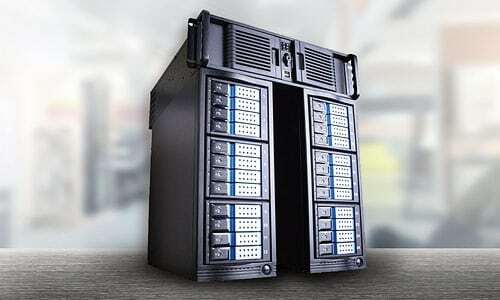 Designed with a carbon fiber casing, the solution allows businesses to erase data – both onsite and offsite.